Trump's Visit to Israel Should Be Easy. He's Made It Hard. 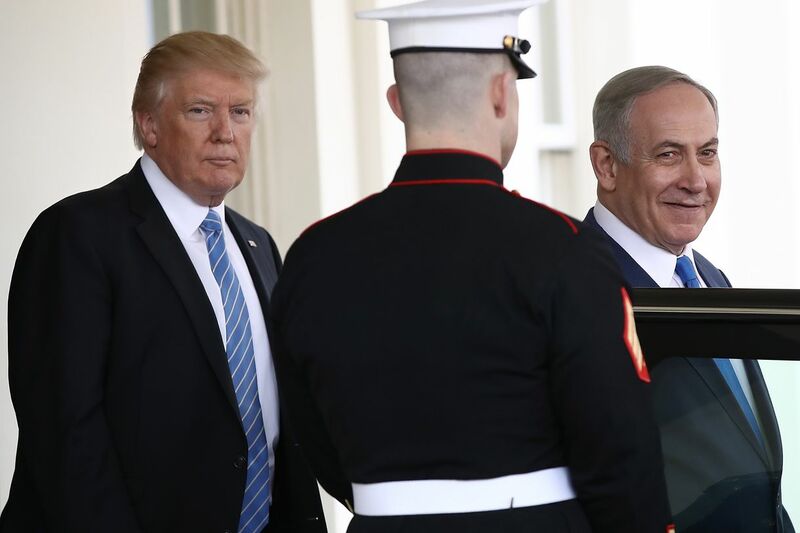 In just a few short months, Donald Trump has already damaged his relationship with Israel so badly that what should have been a victory lap through one of America's closest allies will instead be a march through a minefield of the president's own making. It wasn't supposed to be this way. When Trump chose to include Israel among his first foreign destinations, he surely assumed Jerusalem would be the easiest leg of a grueling nine-day, multi-country foreign sweep. But Trump seems to have a knack for making things that should be easy for him much, much harder. President Donald Trump embarks on his first foreign trip this week. First stop: Saudi Arabia. Second stop: Israel. Then it's on to the Vatican to meet the Pope, the NATO Summit in Brussels and G7 in Italy. Two former U.S. ambassadors spoke about Trump's standing among foreign leaders and what he needs to do to win credibility. Here are parts of the conversations. The Gulf states, led by Saudi Arabia and the United Arab Emirates, are offering a grab-bag of economic goodies if Israel will make some gestures for the sake of the Palestinians. Right now, the deal isn't even on paper yet, but things change rapidly in the Middle East and there's a reasonably good chance that it could become a solid offer. Can We Now Please Dispense With the Notion That Trump Is 'Good for Israel'? Lauder vs. Adelson: Which Jewish Billionaire Has Trump's Ear on Israel? The vote by the union "not only reflects a deep bias against Israel and its active labor movement, but undermines efforts to bring Israelis and Palestinians together," Jonathan A. Greenblatt, the CEO of the Anti-Defamation League, wrote in a statement Friday. "A vote in favor of boycotts, divestment and sanctions is a vote against the very legitimacy of the Jewish state." JPMorgan Chase allows debit card users to select "Palestine" as a destination they will be visiting so their cards will continue to work without a glitch but does not allow the same for Israel. A banker for JPMorgan Chase & Co. was surprised this week when he tried adding Israel and Egypt to the international travel notification system for a debit card of a customer planning a trip to both countries. After successfully adding Egypt, the banker said he tried to select Israel as well, but was barred from doing so due to the country's status in the bank as a "high risk country." Mother's Day marks the start of the U.S. Department of Health and Human Services' Women's Health Week . With a stated goal of "[empowering] women to make their health a priority," Women's Health Week aims to focus on some of the unique health issues women face, including maternal health. As the program is an official government policy, President Trump released an email statement supporting Women's Health Week. But the statement seems strangely preoccupied with not detailed studies about women's health, instead with Republican campaign to push their version of healthcare. The full statement seems fixated on how Obamacare, the current healthcare system, is specifically failing women. The Trump administration is expanding a policy that requires foreign NGOs -- non-governmental organizations -- to neither perform nor promote abortion as a method of family planning, if they receive U.S. global health assistance funding. The announcement widens the number of foreign programs affected by the policy, from programs totaling $600 million in funding to $8.8 billion. Now, any foreign NGO that works on international health programs, such as those for HIV/AIDS, maternal and child health and malaria, cannot perform abortions, refer or counsel women to receive abortions or lobby for or conduct public information campaigns in support of abortion. "I think the language is completely outdated, and in fact, we found by talking to younger people that they are so against being labeled in any way," Richards says. "And I think in some ways the 'pro-choice versus pro-life' labels miss the point here. Because abortion and pregnancy - these are deeply personal issues that most women will have to think about or deal with in their lifetime, and what the vast majority of people in this country believe is, women need to be able to make their own decisions about their pregnancy without the interference of politicians ... [or] members of Congress who aren't in their situation and can't appreciate what they're dealing with." "In America we don't worship government, we worship God," Donald Trump said to raucous applause at the graduation at the nation's largest Christian university . 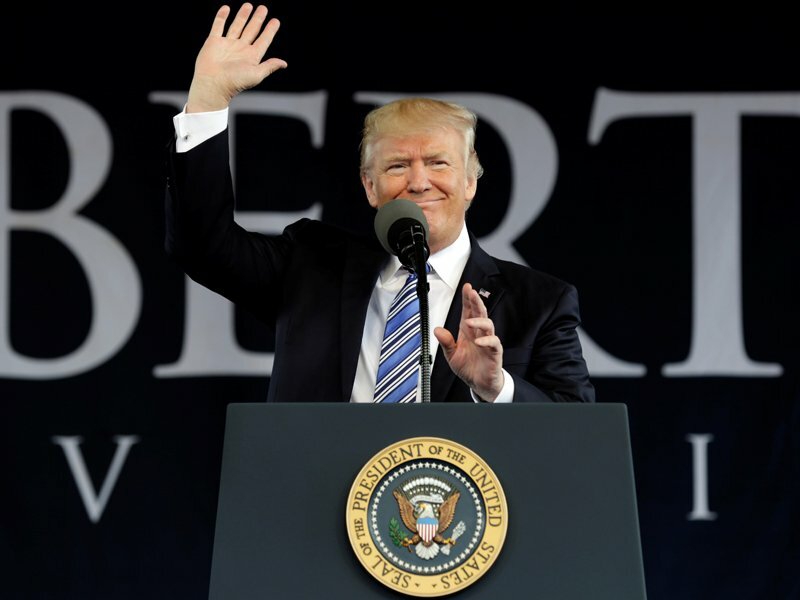 He thanked conservative Christians for their votes, and promised to protect their values in his first commencement address as president, at evangelical stronghold Liberty University. Funding for college work-study programs would be cut in half, public-service loan forgiveness would end and hundreds of millions of dollars that public schools could use for mental health, advanced coursework and other services would vanish under a Trump administration plan to cut $10.6 billion from federal education initiatives, according to budget documents. The administration would channel part of the savings into its top priority: school choice. It seeks to spend about $400 million to expand charter schools and vouchers for private and religious schools, and another $1 billion to push public schools to adopt choice-friendly policies. The Supreme Court on Monday left in place a lower court ruling that struck down North Carolina's voter ID law. A lower court had found the law unconstitutional because it targeted "African Americans with almost surgical precision." 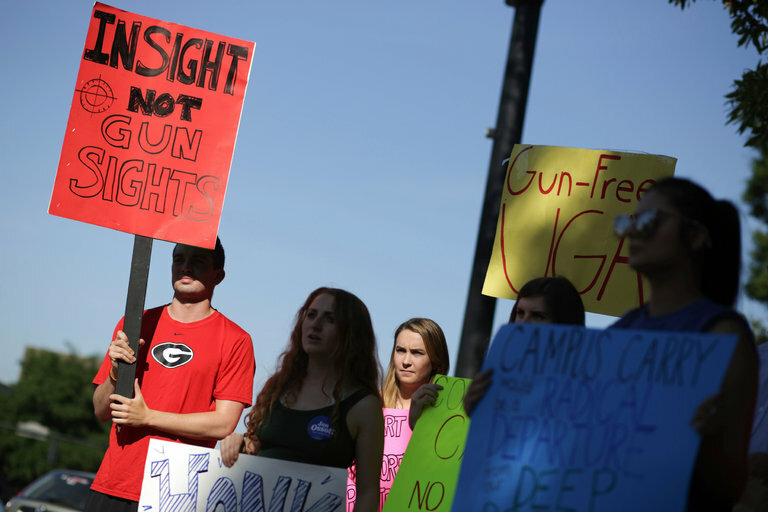 Two more states - Arkansas and Georgia - have passed "campus carry" laws permitting licensed gun owners to pack concealed firearms at public universities, on the bizarre premise that students will be more secure from the nation's epidemic of gun violence if there are more guns. Since Trump's firing of James Comey, one question has been repeated over and over: With Democrats lacking any real governing power, are there a few good elected men or women in the Republican Party who will stand up to the president's abuse of power as their predecessors did during Watergate? Senator Mazie Hirono (D-HI) is "out of surgery and doing okay" according to a Twitter message issued by staff members this morning. She was scheduled to undergo surgery to remove her right kidney after she was diagnosed with liver cancer. On Wednesday, not one but two bombshells concerning Michael Flynn, the national security adviser President Donald Trump was compelled to fire after only 22 days on the job. Together these two stories present a stunning scenario: Trump's team allowed a lobbyist for foreign interests who was under federal investigation to become the president's top national security aide and to participate in decision-making related to his lobbying. Think Shavuot is just about cheesecakes and blintzes? In 13th-century Egypt, the holiday menu consisted of eggplant with chicken, cooked with sesame oil and flavored with garlic, cubeb (similar to black pepper) and garden mallow, cooked as a spinach-like green. This is just one of the many historical morsels tucked inside Joan Nathan's new book, King Solomon's Table: A Culinary Exploration of Jewish Cooking From Around the World. 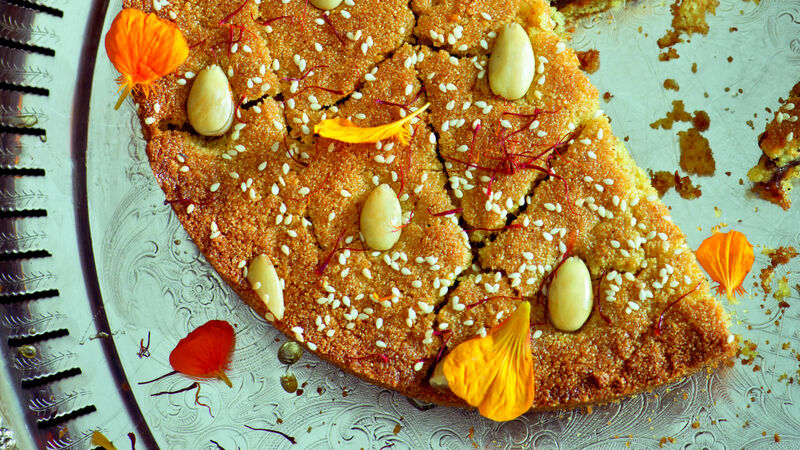 This rare glimpse of the medieval Middle Eastern Jewish holiday meal is among the gems that shine through in Nathan's newest book, a sumptuous, stunning tour de force that traces the roots of Jewish food back to biblical times and earlier, and offers more than 170 recipes that span the millennia. Former Vice President Joe Biden's love of ice cream is legendary. Cornell University's Department of Food Science dessert parlor, the Cornell Dairy, will pay tribute to their convocation speaker with an ice cream in his name. So, what's the flavor's name? That still has yet to be determined, but the five most popular names are Biden's Chocolate Bites; Bits n' Biden; Big Red, White & Biden; Not Your Average Joe's Chocolate Chip; and Uncle Joe's Chocolate Chip. "What difference did we make? Did we sit back? Or did we do everything in our power to make sure this never happens again?"